How often have you reached into your wallet to grab a credit card, only to discover it's missing? When that happens, no doubt you immediately have a rush of adrenalin, feeling financially exposed. Hopefully you just left it at home when you used it to pay for something online at your desk. Or maybe you left it in your blue jeans pocket with your driver's license from the night before. Should you worry? The answer may surprise you. Everyone has heard horror stories of a poor soul whose credit card security was breached and wound up with an airplane ticket to China on the bill. Or perhaps a spending spree at Best Buy. When dealing with fraudulent charges, we sit on the phone with the credit card company going line by line, talking about what charges are ours, and what aren't. Yes, the late night McDonald's charge is mine. Yes, and the $250 at Costco. It can feel like an embarrassing inquisition! But what about those fraudulent charges? Due to federal laws, you are only responsible for up to $50 of charges the incur before you notify the credit card company of the card loss, and nothing afterward. Many credit card companies will actually wave that $50, and ask you to pay nothing, in order to keep you as a customer. The next time you are feeling so grateful that you aren't responsible for that $2,000 fraudulent airline ticket purchase, remember the credit card is only doing you a $50 favor, and they are probably charging you more than that in annual fees. So much for the freebies in this world! All sarcasm aside, you should take action once you have discovered your credit card is lost or stolen. If fraudulent charges rack up, and they can do so quickly, it can be very time consuming and frustrating to settle things with the credit card company. Also, during the time when the fraudulent charges aren't paid, your credit score is likely to decrease. It should go back up once everything is settled with the credit card company, but if there are a lot of charges, it could take a while to sort things out. Finally, though you may not be personally liable for the fraudulent charges, everyone pays for them. Like insurance claims and shoplifting, we all know that the company is not just going to absorb the loss; they will spread it out among their customers. The more vigilant everyone is, the better off we all are. 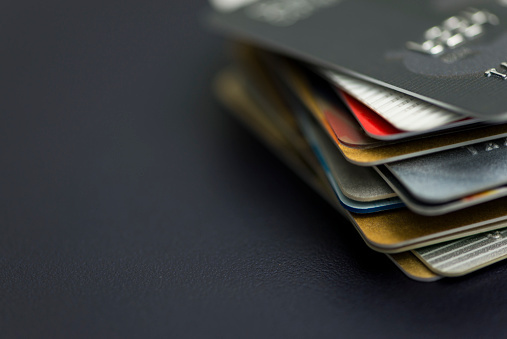 If you have lost your credit card and need help disputing charges, or if you are facing other identity theft issues, contact a local consumer protection attorney. Your liability should be extremely limited, and if it isn't, perhaps just one call from an attorney declaring your rights will do the trick.